Depending on which tees one is playing, the 10th hole can be played two ways. 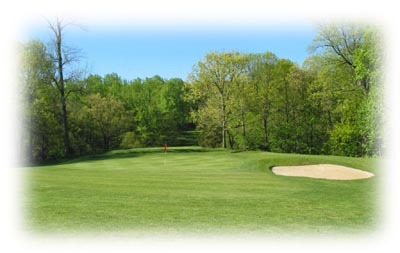 From the blue tees, a tee shot across a ravine is necessary for a chance at birdie. From the white and red tees, a short iron from an elevated tee box is required. The green is guarded by a bunker to the right.